One critical component in your pump is the coupling that might be connecting your motor to the pump. In the case of fire pump for example, it would be a grid coupling. Like other coupling types, grid couplings often have "signature failures" modes that can completely make your pump fail. Fatigue failures are typically due to high start-up or impact loads and/or in combination with reversing or highly fluctuating loads. 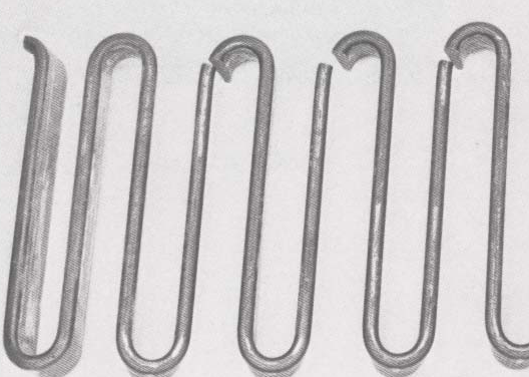 Signature fatigue wear, which can generally be viewed as normal grid coupling wear, shows up as cracks in the grid spring element approximately in the center of the grid spring element legs (see Figure 1 – Fatigue Wear). With a few grid spring element legs broken in the center, a grid coupling will likely still be operational and transmitting torque through the remaining unbroken legs. However, once such a condition occurs, the coupling is operating in a compromised state and the grid spring element should be replaced as soon as possible. Not lubricating the coupling properly can lead to failures. 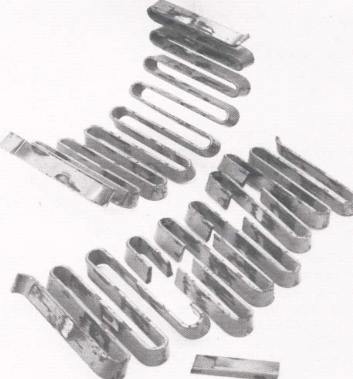 In this case, the cracks are often localized to one side of a grid spring (where lubrication was lacking) and may resemble or look like a fatigue failure. The grid coupling is a metal-on-metal coupling, and a lack of lubrication will lead to premature wear (or fatigue) of the grid spring element. (How should you pack the grease in a Grid Coupling?). A grid coupling is an excellent vibration dampening high power density coupling. They are unfortunately not very good at accommodating misalignment. Grid couplings are not designed to handle parallel shaft misalignment, they are only designed to handle about a quarter degree of angular misalignment (see How sensitive are Grid Couplings to misalignment?). Figure 2 is an example of a grid coupling element misalignment failure. In such a failure, the grid spring break on the outer bends of the grid spring legs. Similar to fatigue failures, a grid coupling may have broken legs due to misalignment and still transmitting torque through the unbroken legs. This is not a desirable long term state and the grid spring should be replaced as soon as possible. To prevent such failures (or to correct from such a failure from re-occurring), it is critical that the coupling shafts be realigned and within the misalignment tolerance of the given grid coupling.